Greensboro, North Carolina is home to 7 colleges and universities, totaling 50,000 college students. Retaining young talent has been a challenge, and data has shown that about 30% of college students stay in the city of Greensboro post-graduation. Campus Greensboro, an initiative of Action Greensboro, created a Fellows Program to prepare college students to enter the workforce, helping them discover career options post-graduation, and motivating students to explore all that the city has to offer. Students benefit from networking with key industry leaders, tailored mentorship, professional development, world-class leadership training, and social events with a cohort of high-achieving peers. After completing the Fellows Program, 89% of students indicated that they are interested in making Greensboro home. 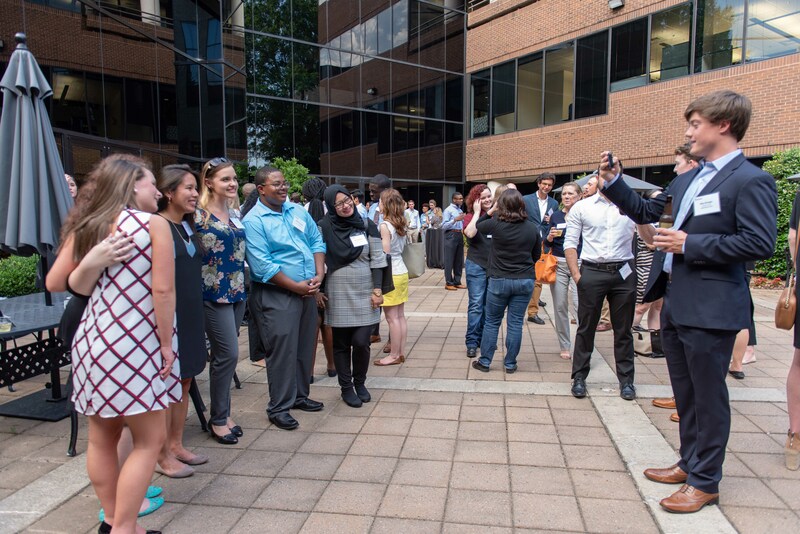 Greensboro leaders believe that high-touch programming and community engagement drives connection and retention that will increase young talent in their city.